Thank you everyone who sent money to help with the destruction caused by Tropical Storm Agatha. The generous outpouring of contributions amounted to $1200. Two friends set up their own programs to raise money, and they raised about $2000 each. Because of corruption on the part of the Guatemala government , privately organized efforts such as these are the only real hope for getting help to those affected. Rain has been a major problem in Guatemala and Mexico this summer. Two tropical storms have caused death and destruction. Crops have been lost. Mudslides have killed many people and destroyed buildings. Roads throughout Guatemala have been damaged. In many areas cars still cannot pass over the large rocks that have fallen into the roadways. The damage is so extensive that it will be a long time before the roads are returned to good condition. The photo, below right, shows an approaching tropical rainstorm on the slope of the Volcan San Pedro. It took about ten minutes for the downpour to start, and within minutes the streets had become streams. 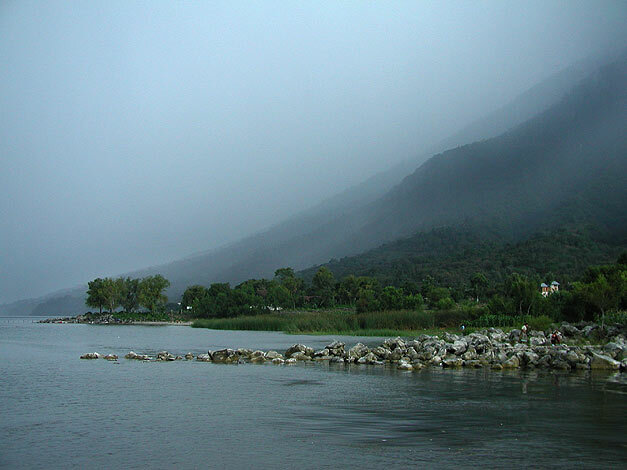 Lake Atitlán has risen about 10 meters since last year, reclaiming low areas around the lake. Over the past several hundred years the lake has fallen and risen in cycles of around fifty years. 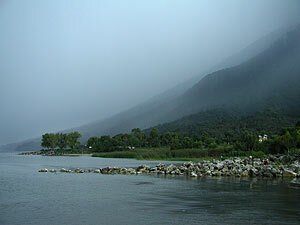 Since I started visiting in the mid 1980s Lake Atitlán has been steadily receding. Ben and Lois Paul photographed the lake in 1941 when it was at a high point. If you wish to be removed from the mailing list of this newsletter, please email me, and put Remove as the subject line. 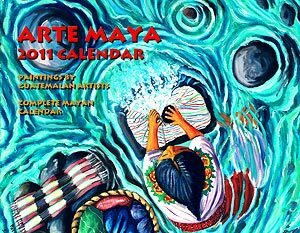 Lavando Ropa (Washing clothes) by Juan Fermin Gonzalez Morales is the front cover and one of twelve different artists in the 2011 Maya Calendar. Juan Fermin Gonzalez was the artist who originated the birds-eye-view paintings. 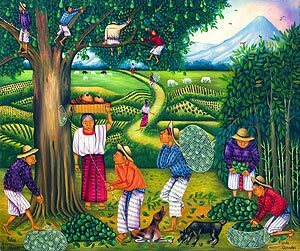 The galleries in Santiago Atitlan are filled with mass produced paintings by other artists in his style. Juan Fermin, however, is the only artist who paints original themes in this style. His themes always represent aspects of the daily life of the Maya. Buying it directly from Arte Maya means that you will be helping the artists even more. HAND/EYE: What’s your personal experience in textile arts? An exhibition of fifteens paintings by six Maya artists will be on display at Mo'Joe Café from October 7 to the end of the year. The paintings loosely organized around a harvest theme. For those of you who are too far away to come, the paintings in the exhibit are all posted on the website. There will be a reception for the exhibition Friday, October 22 from 5 p.m. to 7:30 p.m.
A History of Latin America 1800 to Present by Teresa A. Meade. This is an exciting new history of Latin America that looks at history from many points of view including themes of gender, class, and ethnicity. 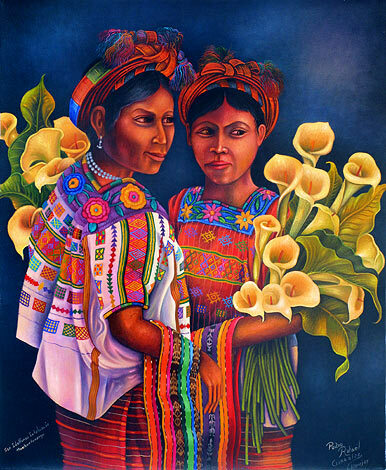 Meade appropriately chose a painting by a Maya woman from Guatemala for her cover—Paula Nicho Cumez's Canto a la Naturaleza. Translations of Maya inscriptions has progressed incredibly during the last twenty years. 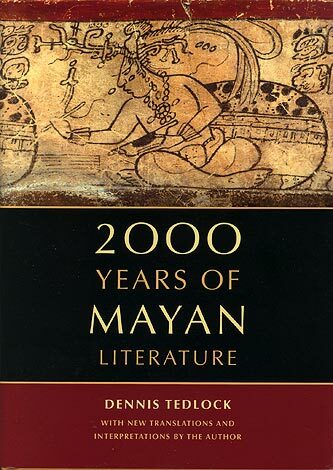 Dennis Tedlock translates passages of Maya literature covering 2000 years. Tedlock patiently explains the meaning of the Maya glyphs that profusely illustrate the book. Tedlock helps the reader appreciate the richness of the Maya language, one that is much more fluid than our own. This is an incredibly rewarding book for people interested in the ancient Maya. The current and all back issues of the Arte Maya Tz'utuhil Newsletter are now posted on the Arte Maya Tz'utuhil website. Each newsletter will be added as it comes out.